The Plumbing & Electrical Doctor provides fixed price services for residential plumbing and electrical work. All our work is backed by our Platinum Service Guarantee and we provide free inspections on every job. Sewer blockage Hydrojetting Sewer Inspection CCTV 30 years experience in maintenance of all aspects of Commercial and Domestic plumbing Metal roofing and Guttering replacement Leaking taps a specialty New houses and renovations experience Bathroom renovations Hot water heater replacement and upgrades Gas supply and maintenance Hydronic water heating from boilers. Newcastle Plumbing & Blocked Drain Specialists PTY Limited is local based experienced gasfitters and plumbers operating for over 25 years. We specialize in all aspects of drainage work, fixing blocked drains, gas fittings, roofing, backflow testing and other plumbing services. For emergency plumbing repair, maintenance and installation services in and around Newcastle, call us today for quick service. Building & Plumbing Contractors. New Homes, Renovations & Extensions. We are fully licensed, insured and qualified with 20 years experience in the gas industry. Our service comes with Gas Compliance Certificates plus we provide professional advice on all new gas installations and appliances. Hunter Plumbing provides are range of plumbing services to both our residential and commercial customers. We pride ourselves on our quality work on every job we undertake. As plumbing professionals, we are committed to providing the best possible service and workmanship to all our clients, at all times. This approach to our work ensure our customer’s requirements are addressed to their complete satisfaction. We are a family owned business providing plumbing services to residents across Newcastle, Lake Macquarie, Hunter Valley & Port Stephens. Thanks to Hunter Plumbing, it doesn’t matter where you’re based, we have plumbers situated across the region to ensure we can get one to your door quickly. Whether it’s a small job that you need done, or a total emergency, we have a dedicated plumber for you. Macquarie Bathrooms & Plumbing is a friendly family plumbing & bathroom renovation business with over 30 years experience that can cater for all your domestic and commercial plumbing needs. We cover all aspects of plumbing maintenace from repairing leaks, hot water heaters, blockages and repairs to leaking showers, complete bathroom renovations, specialising in disability bathroom modifications. Our professional and courteous service ensures you that all our work is completed to the highest standard at affordable rates. Call us now for a Free quotation, no job is too small! 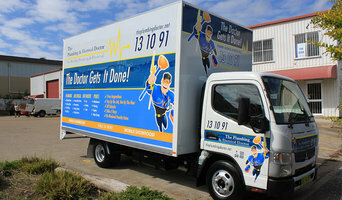 Local Business Servicing the Port Stephens Area. Available for all civil, commercial industrial and domestic plumbing and excavation works. With a lot of plumbing work done behind walls and underneath floors, some Newcastle, New South Wales plumbers will also repair or replace tile, stonework or other surfaces, if need be. You’ll find most Newcastle, New South Wales plumbers provide a variety of services, including maintenance and construction, covering gas, solar and electric. However, some will have areas of expertise. A 24-hour plumber, for instance, will be well versed in residential emergencies and repairs, while others may be more experienced in renovations and new homes, or the installation of septic systems, rainwater tanks, pumps and other special water and drainage systems. Find Newcastle, New South Wales plumbers on Houzz. 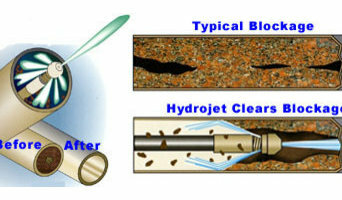 A leaking toilet or blocked drain can do more than just water damage, so never wait too long to call a local plumber. Start your search on Houzz by browsing the Professionals section of the site. If you're undergoing a renovation or home construction, you may also look through Photos to find local plumbers who have worked on projects similar to yours. If you’re planning a large-scale project, find other professionals on Houzz who can help get the job done. Here are some related professionals and vendors to complement the work of plumbers: Building Project Managers, Septic Tanks & Sewage Systems, Kitchen & Bathroom Designers, Kitchen & Bath Renovators.